Kevin is a strength and conditioning coach with ten years direct experience coaching athletes, soldiers and coaches alike. With over fifteen years serving in the Australian Military, five of which were managing a high performance program, Kevin’s skills and experience are rooted in training with purpose, to achieve the mental toughness to never quit – to always find a way. 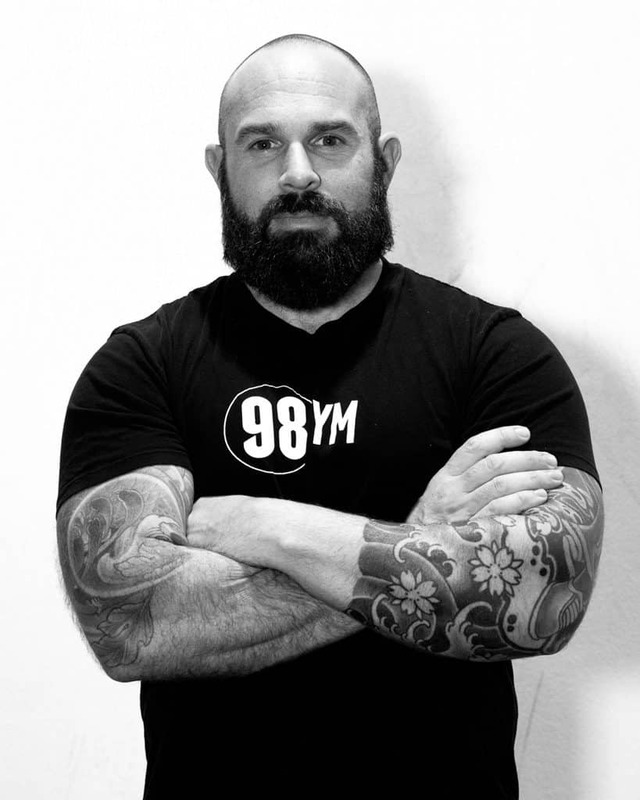 He currently sits on the board for the Tactical Strength & Conditioning Association in Australia and has presented to Police, Military and S&C coaches across the country. He is also the founder of Strength Elite. Kevin believes in humility and the pursuit of excellence. 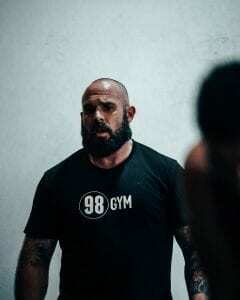 His training is science-based and he is happy to work with anyone who possesses the grit and determination to improve themselves, get uncomfortable, knowing that nothing worth having ever came easy. Everyone has different goals here at 98, these goals will change once you reach one, you’ll reassess and go attack another one. These goals could be a better 2km ski or row, maybe you’re after a bigger deadlift, more pull ups or a bigger back squat. Whatever your goal is its important to know how to get there. Outlined below are two sample weeks of 98 classes that can address some, if not all of your goals. Give yourself enough time to achieve your goal, a minum of 6-8 weeks with one of the above cycles of training will ensure you hit those targets…as long as they are reasonable of course. If you have any questions on this or what would suit you best please ask me. Friday – FYF…because this is the weekly gut check. With the second round of testing completed here in the gym and first lot of testing done for our online members, I am very happy to share the results…who would have thought, hard work, consistency pays off! We tested over 100 people and the results are once again very impressive. 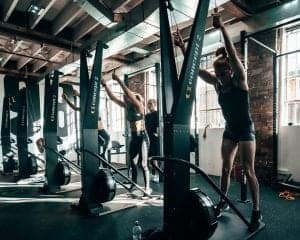 A few things to remember when you read this, the longer you have trained for (6-8 years) your improvements will be minimal, and sometimes you won’t be measuring kgs or watts, you’ll be measuring the pain, muscle soreness the next day or how long your heart rate (HR) took to return to baseline. If you are new to training (3-12 months) the improvements will be in leaps in bounds, this is due to the rapid and wonderful physical improvements that happen as a novice trainer. So below are both testing results so far, blue are the results just gone. A quick look at these results and you could be mistaken to think its not that impressive. Due to the large number of people who tested this time and the fact that these are the average over all, you can be forgiven to think its not what you thought it would be. Here are some individual results. The above results in a matter of months is great, this is what it looks like for the majority of our members, also a 50% increase in the pull ups by the girls across the board in a little over 3 months. You are all getting stronger, faster and more conditioned. The difference in males and females is once again very minimal and too close to call…however, gentlemen… let me just say this. Ego vs proper technique over time… technique trumps ego. Another stat that needs to be addressed is that the average gym has 75% of it members turn up 2 days or less, at 98 Gym 96% turn up 5 days or more. Meaning you all train harder and more often and put yourself under more stress… this is why you are performing so well. We exist in a bubble and as I said last time, if you compare yourself to those inside the gym its easy to forget just how hard the average session is here, and that becomes your “standard”, your normal. Testing is a snap shot in time, you may be stronger and faster next week, or you could be slower and weaker in three weeks time… it’s all lifestyle dependent. The take away is this…know your results, put them into play during your sessions, the strength sessions, the ESD sessions and if you want to know how they apply then ask a coach and we can direct you in the right way. From here I’ve put together the plan for the next few months, we will be introducing new warm ups to progress everyone through, new movements to place new stress/stimulus onto your body, to ensure it never adapts and always gets stronger. We will also look to grow the number of strength classes to accommodate those who wish to get even stronger, meaning we will introduce additional sessions on top of those we already have. The gym will take on a new look soon as well, with more updated equipment for everyone to use. We will ensure that we are at the forefront of training and coaching. And last but not least, welcome to all our 98 online members who tested and who joined our community in the last few weeks, I can’t wait to work with you all for years to come!